• The catalog number, title, description and quantity of the claimed defect. 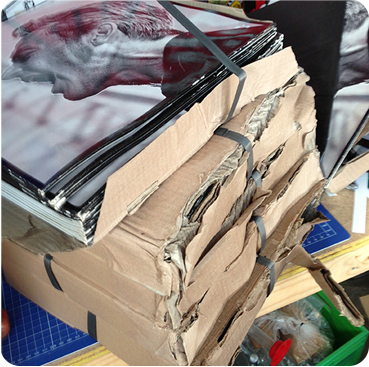 • Photographs of inner & outer boxes. • Photographs of shipping labels. 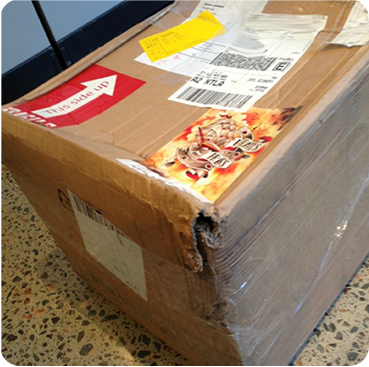 • Photographs of the box or pallet before opening (if damage is noticeable before opening). 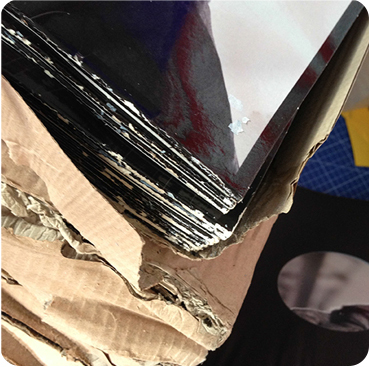 • Photographs of all boxes together to show its not just one box/inner thats being photographed. 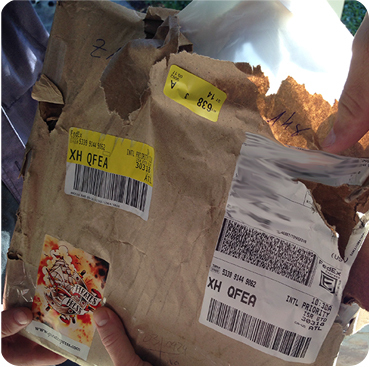 • Note on the delivery paper work or hand held scanner of any visual damage to the boxes before signing. 1. Please take photos up close of the problem, as well as further back, showing how many units are damaged. 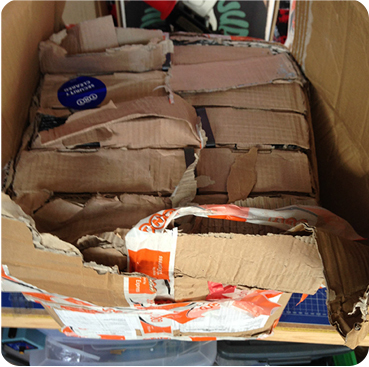 Please also include photos of the boxes, and shipping labels, if there is any chance that the issue may stem from damage in transit. 2. Please zip your photos into one archive before sending them to us, and if the archive is larger than 5 MBs, please send it via wetransfer.com, dropbox, or another file sharing program. If the archive is less than 5 MBs, it is okay to send it via email. Please note: All claims on finished product must be placed within 14 days of delivery. Claims submitted after 14 days will be rejected. 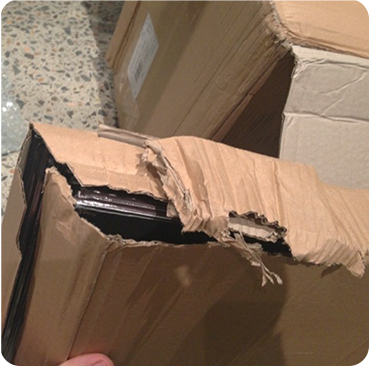 Keep ALL damaged outer and inner boxes through out the entire claim process in the case the shipper needs it for the claim.